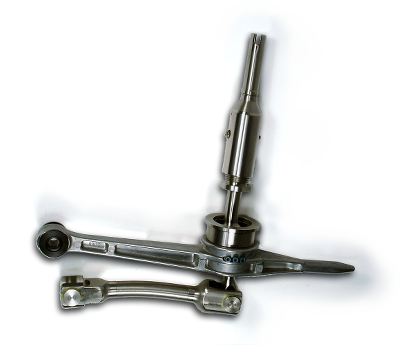 SPECIAL OFFER: get $75 off the UUC Ultimate Shifter package. UUC BLEMISHED ITEMS / BLOWOUT PRICING! "...this thing feels amazing! This is the way this car should have came. It's like you're a sniper and you're sniping gears!" "...holy sh*t what a difference. Doesn't feel too racey, doesn't make gears harder to engage, just crisp and accurate. Seriously recommended!" “If you're going to do one thing to your BMW, it should be a UUC Evo3 Ultimate Shifter.” This is a recommendation repeated over and over again in the press and on the internet for a good reason. Of all the control devices in a BMW, the shifter is the one that gives the greatest impression of mechanical interaction, the one that really puts the driver in control. Whether it's just commuting to the office, a spirited canyon run, a trackday driver's school, or even all-out racing... the shifter is a big part of the experience. 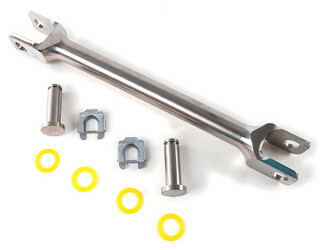 The last and final step in making your BMW's shifting experience as enjoyable as precise as possible, the UUC DSSR. 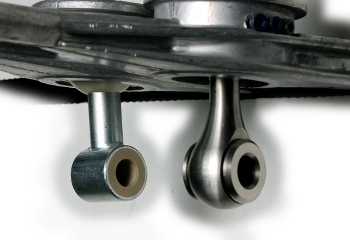 Machined from a solid block of stainless steel, the DSSR replaces the original linkage and elevates the shifting experience to the ultimate level in smoothness and control. The UUC Evo3 Ultimate Shifter kits are available for most BMWs with manual transmission made from 1967 up to today, including the newest models. See our website details for more information on the special technologies and manufacturing precision that we use to build every Evo3 Ultimate Shifter. [ CLICK HERE ] to learn more.